Oxnard, California, situated along the Pacific Coast just south of its more famous neighbor, Ventura, is known for its strawberry farms and the Port Hueneme Naval Base. Now I think of it as an easy and affordable wine-tasting destination, too. Since Oxnard is smack in the middle of the growing Ventura County Wine Trail, several wineries and tasting rooms have opened in the city in the last several years. Winemakers here import quality grapes from growing regions to the north from Ojai to Napa and take advantage of nearby Los Angeles as a shipping hub. Visitors — like me — enjoy the weather, which is mild year-round: cool enough in summer to escape the heat and warm enough in winter to qualify the area as a getaway destination. The wineries I visited during a weekend in Oxnard are easy to miss. Hiding inside giant warehouse buildings and a landmark Victorian home in the town square, these wineries make for an oenophile's treasure hunt. Strey Cellars is run by a young couple who caught the winemaking bug after their first adventure in wine country. Their winery is located in a nondescript box of a building that was once a factory warehouse. Just a few years old, Strey only made 1,000 cases of wine in their first season, and though their output is growing, the winery still has a boutique feeling to it. The tasting room is austere with blue neon decor, more reminiscent of a nightclub than a European farmhouse, as you'd find in the wine country up north. Winemaker Scott Ballew said he wanted something edgy and fun, hence the business's motto, which is a play on words using the name: "Stray from the norm." Right next door in a similarly plain warehouse building, Magnavino Cellars attempts to re-create that European farmhouse feel, down to the Tuscan-style pergola above the tasting bar. The owners' tiny dogs greeted me as I entered, making me feel right at home. Inside the tasting room, regulars and road-trippers rubbed elbows at the bar, where one couple had just delivered a case of homemade pickles, while others sat at tables enjoying these and other snacks to go with their glasses of wine. It was easy to take the short trip from these two wineries to the next, because our group was shepherded through our tastings by Lisa Stoll, the sommelier and director of Explore Wines. She drove a luxurious Mercedes van, shuttling us from tasting room to tasting room, and on the drive she talked about the origins of the grapes and the different styles of winemaking. She even schooled us in how to detect the subtle differences in each wine we tasted. At one point she passed around a set of scent vials and had us guess the aromas in each little bottle. By the time we reached the next tasting, I was ready to describe notes of cilantro, orange peel or clove that I would pick up as I swirled the bowl of the wine glass before my nose. Rancho Ventavo Cellars' tasting room takes up the first floor of a historic 1902 Victorian home in Oxnard's Heritage Square. I didn't know where to look first — the beautifully detailed front porch, the collection of other Victorian homes that look like they were dropped there on purpose to create an old-fashioned village, or the schedule on the sign that lists the activities and free live entertainment happening in this spot on weekends. Instead I just went inside and tasted the wine. The decor within gives the place a museumlike feeling, with visitors' footsteps clomping on the vintage wood floor planks as they belly up to the wine bar to select a tasting. We dined on sandwiches and salads from the local Fresh and Fabulous Cafe (which is located inside an old Woolworth building) in a private room on the top floor, sipping our reds, this winery's specialty. We headed back to the warehouse area for our fourth winery visit, but we had to wait until Sunday because this was Herzog Wine Cellars, run by a Jewish family that follows long-standing traditions in its winemaking process. As I watched the grapes being unloaded from a truck and poured into a sorting bin, the guide told our group that only a Sabbath-observing Jew can be present during the bottling of Herzog's wines. Instead of sipping our flights at the enormous granite-slab bar or in one of the private tasting rooms available, our group enjoyed a special wine-tasting menu at the on-site gourmet restaurant, Tierra Sur. It's a kosher establishment and does amazing things with non-dairy ice cream. My accommodations in Oxnard for the weekend were at the Residence Inn, which is a 15-minute drive from the beach with easy access to U.S. Highway 1, right next door to the River Ridge Golf Club. Beachside rooms are also available at Embassy Suites Mandalay Beach Hotel and Resort. 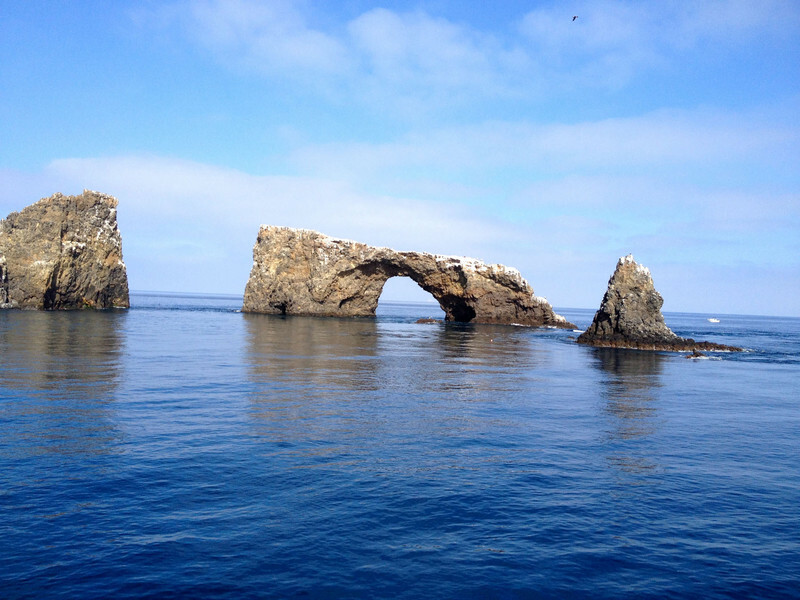 Taking a break from wine-tasting for a little while, our group enjoyed a cruise to Anacapa Island, part of the Channel Islands National Park, aboard the Vanguard, a cruising ferry run by Island Packers out of Channel Islands Harbor. Hundreds of dolphins greeted us by jumping out of the water on both sides of the boat. On other visits I've spent time at Oxnard Beach Park, where there are numerous barbecue pits and tables to set up a picnic with food from the farmers market, and miles of sandy beaches. Dining in the area was an adventure in farm-to-table cuisine since so many farms are so close to these restaurants' tables and to the harbor where many fishing boats unload their catch. It was a true pleasure to sit by the window in Waterside Restaurant Bar and Grill to enjoy fresh fish while looking out at the water. At the Kitchen Restaurant in downtown Oxnard, I relished the homemade meatballs served with a sweet, fresh salsa along with a bartender-recommended IPA. La Dolce Vita served up modern twists on Italian dishes inside a Victorian house close to Rancho Ventavo Cellars in Heritage Square. After dinner on the first floor, I watched the locals sing karaoke in the basement bar, which has a speakeasy feel to it, being underground. Every wine I sampled at each tasting room or restaurant was delicious, so there are none to single out. I'm an equal-opportunity wine enthusiast, but on this trip, when in doubt, I asked for the merlot. It was a win every time. 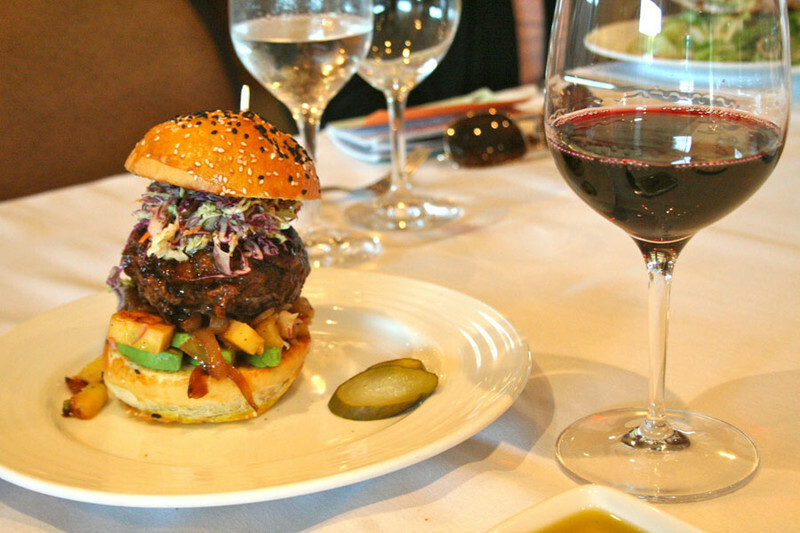 Burger de la Casa is paired with a delicious merlot at a tasting lunch at Tierra Sur inside Herzog Wine Cellars in Oxnard, California. Photo courtesy of Kim Tracy Prince. Arch Rock near Oxnard, California, is one of the natural wonders you can see up close from the deck of the Island Packers Wildlife Cruise.Photo courtesy of Kim Tracy Prince. 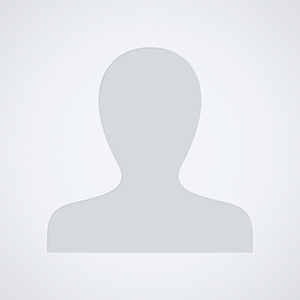 Kim Tracy Prince is a freelance travel writer. To read features by other Creators Syndicate writers and cartoonists, visit the Creators Syndicate website at www.creators.com.